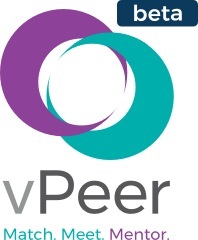 vPeer’s concept orbits around mentors help us get better at career and life. Match: Our algorithm matches peers nearby or across the globe, Tell us areas you want to LEARN and TEACH. Meet: Be a Mentor, Peer, or Mentee, Meet in person or by video technology, Engage with Influencers and Peers in your field. Mentor: Share Learn Bank resources, Acquire ratings that make you a master at your craft, Collect evidence for growth and performance evaluations, Grow as thought-partners to make greater impact. Check out our blog post with Founder, Dilara Sayeed!